Mix sugar, corn syrup & salt in a saucepan. Bring mixture to a boil. Add pecans & cook until soft ball stage (225 degrees). Remove from heat & add baking soda & vanilla. 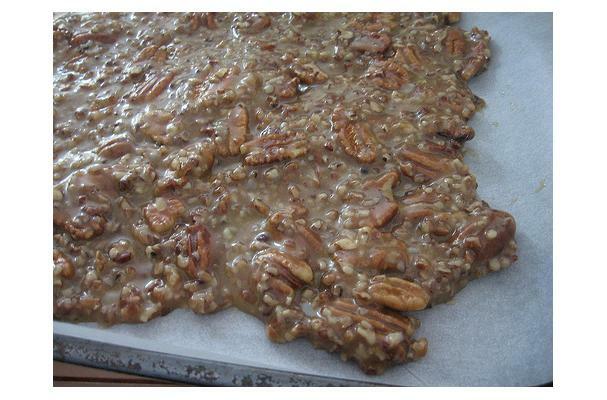 Beat vigorously until candy begins to cool & thickens. Pour into a greased 13x9-inch pan. When cool, cut into 1-inch squares.